Search for food in children’s literature, and pop cakes will have a mention somewhere. For many generations, there’s a nostalgic connection to the world that Enid Blyton created. Pop Cakes were lovely. Rick put one in his mouth and bit into it. It went pop at once – and he found his mouth full of sweet honey from the middle of the cake. They ‘pop’. Now, this could be a thin sugary coating that cracks, or simply the freshness of a crisp hot bun. Yorkshire pudding like? The center needs to hold honey. But how do you make them without it mixing with the batter, or oozing out? The other thing to remember is that The Magic Faraway Tree was first published in 1943. So pop cakes, I feel, need to be a wholesome 1940’s kind of recipe that would’ve been easy to whip up. None of our molecular gastronomy that would make it ‘magical’. Just delicious moreishness. 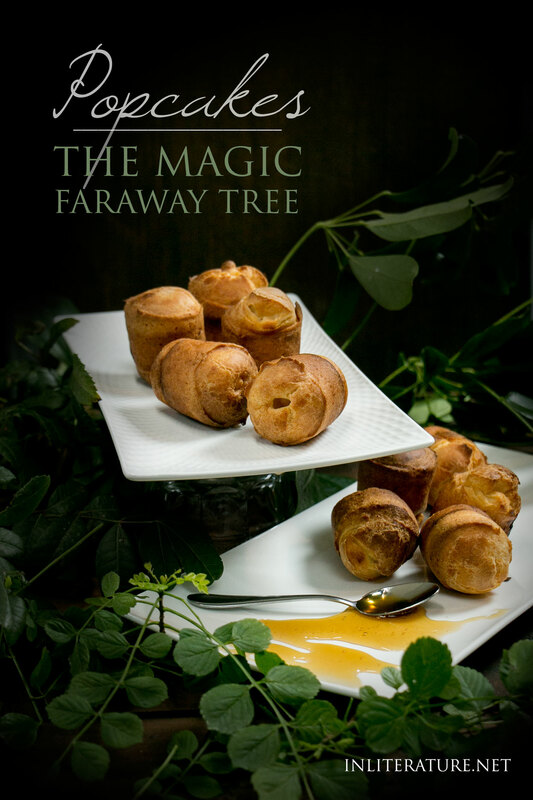 After browsing old cookbooks, I kept coming back to popovers, since they’re like Yorkshire puddings–light and airy and hollow– so when you bite into them, you pop through. I figured popover pans would’ve been available as well. I’m not sure if little ball pans would’ve been? My other reason for going with a popover recipe instead of a cake recipe is that once the honey is added, it’s quite a sweet treat. Just right, not overly sweet, but not bready either. The second part is the honey in the center. I trialed a few different options. The first, I froze little cubes of honey and set them into the batter. Unfortunately, I found this cooked too quickly and ended up burning (being sugar), even though the pop cakes cooked perfectly. The second, I mixed 2 tablespoons of powdered sugar with 1 tbsp of honey and rolled little balls of this honey. These didn’t burn, but oozed out of the batter by dropping to the bottom of the pan. In saying that, it created this lovely thin crisp sugar coating that popped when you bit into the pop cake. If only I could make this happen on the inside! 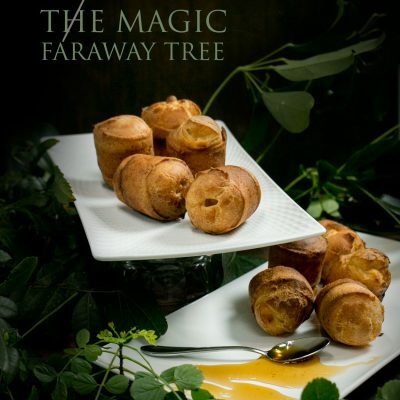 Finally, I cooked a batch of popovers and injected honey into the middle using a pipette. I learnt you definitely need to use a thicker creamy honey. If you do use a liquid honey, you need to eat them quickly, otherwise, the honey absorbs into the baked dough. Whip up an easy delicious batch of your favourite children's literature treat, pop cakes, for a nostalgic trip back to your childhood. Start by preheating your oven to 230C. In a bowl, add in your flour, salt, then milk, then beat in the eggs until it's just mixed and smooth. Melt some butter and use to generously coat the inside of each popover pan. Make sure your oven is nice and hot (at 230C) before placing the pan in. Let cook for 15 minutes, then decrease the oven to 175C to finish for another 5-10 minutes. Remove from oven and let cool for a few minutes before removing from pan. Take a pipette and cut off the tip as it's too narrow. Use the pipette to 'pull' up some honey, then press into the pop cake (you may want to use a sharp knife to make a small incision) and inject the honey into the pop cake. If the honey is too firm, you can soften it in the microwave for a few seconds. 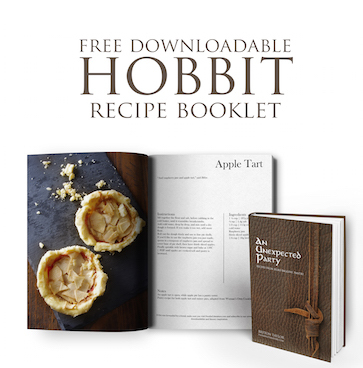 Looking for more nostalgic recipes from children’s literature?